For years, Iran has been feared. Recently, world leaders reached a nuclear deal with Iran, which subsequently lead to the lifting of sanctions. But how has this affected the economy? And could the US have better used its standing to increase control over Iran in the coming years? Lifting sanctions: what does it mean for the Iranian economy? Sanctions imposed over numerous years have brought the Iranian economy to its knees. The lifting of sanctions is almost certainly going to provide an instant boost for the markets. This is particularly relevant to the oil and banking industries. Iran had access to several billions of dollars frozen as a result of sanctions imposed as a result of nuclear activity. With these sanctions lifted, it can now access some of this money. The country is also able to open up new trade agreements and renew existing deals, which had been put on hold. For years, trading with Iran was off-limits. But now, the country is back in business. There are still controls and limitations in place. It’s not possible for Iran to trade freely and deals with nations, firms and individuals linked to terrorism are still suspended. There is also the option to rei-mpose financial sanctions if Iran strays from the agreed path. Early estimates suggest that Iran could increase its revenue from crude oil exports by $10 billion by 2017. The International Monetary Fund also estimates that GDP in Iran will increase from 0% to 5% in the next twelve months. Could the US have negotiated harder? In the lead up to the nuclear deal, there was ardent debate about negotiation and sanctions. Some felt that it was best to take the hardest possible line while others felt that it was best to strike a fine balance. It was during this time that Mark Dubowitz hit the headlines. He had carried out extensive research in this area and was keen to get his points across. He spoke to members of Congress but was left disappointed by the outcome. Dubowitz, from the Foundation for the Defense of Democracies, wanted more from President Obama. He believes that the President only listened to one half of his idea, and this has sold America short. 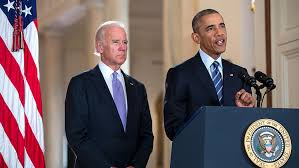 The end result was giving Iran access to frozen funds without ensuring they can be taken away again if Iran deviates. With money comes power. In Dubowitz’s opinion, using this power could have ensured greater control over Iran and its nuclear program for many years to come. If you read up on the nuclear deal, you’ll find all kinds of different versions of events. Some reports will hail the deal as a great success. Others will leave you questioning its efficacy. Once thing is certain. Lifting sanctions and allowing access to international accounts will kickstart Iran’s economy. This is, of course, beneficial in some respects. But the cynics out there may always fear what Iran is using that money for and what will happen when the agreement draws to a close.